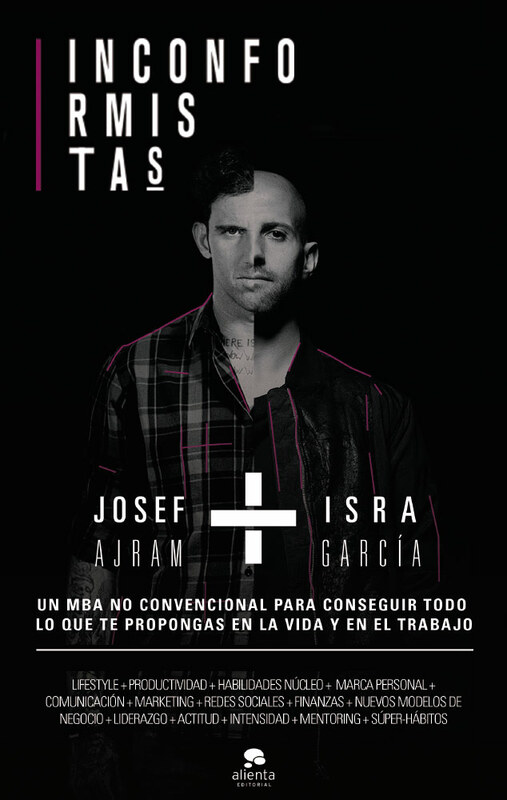 Inconformistas it’s the name of the non-conventional micro-MBA program that Isra García and Josef Ajram launched in 2015. It leads them to impact hundreds of professionals around the ten most significant cities in Spain. Inconformistas book gathers in broad strokes the best and most influential techniques that they taught in the program. That is to say, the marketing, communication, personal branding, social networks, business, lifestyle and productivity strategies and tactics that have helped them in their work, projects, and organizations. This book has a highly practical focus. This two great professionals, influencers, athletes, people in business and role models share their daily work for creating and launching successful companies and some other kind of projects, and also the lessons that have learned from their mistakes. In a motivational and ambitious tone, Inconformistas book offers a thought social media analysis and optimal usage. How to use it for empowering a brand or product, real success and failure real stories, new business fundamentals, productivity tricks from the authors, marketing from a different approach, how to create effective and efficient teams, and establish reasonable and reachable work plans. Event how to design your lifestyle and what abilities and habits to develop and how.